Loving this weather here in NC recently, it has been nice and cool in the mornings, could we ask for a better week. I love wearing a simple outfit like this for a day of errands. This cute outfit is from Uniquities and I’m in love with it! 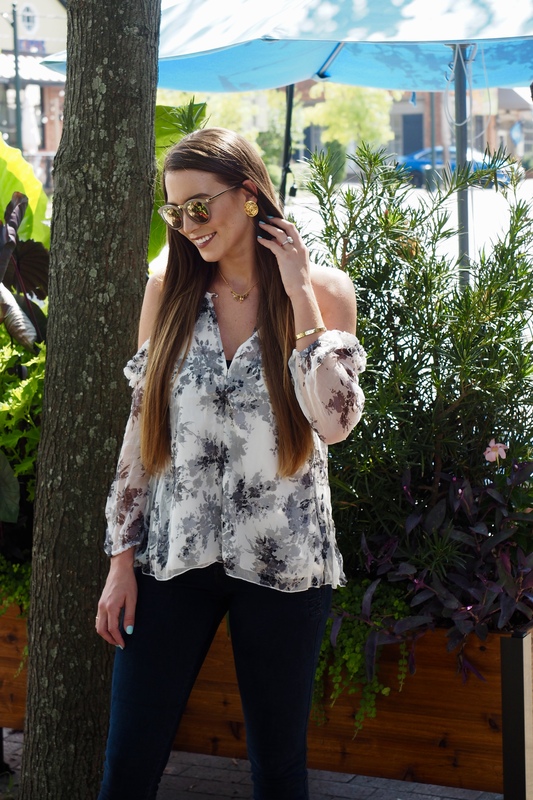 My go-to boutique in Chapel Hill! This top is adorable, I love the sleeves. The open shoulders and ruffles make this top super sassy! 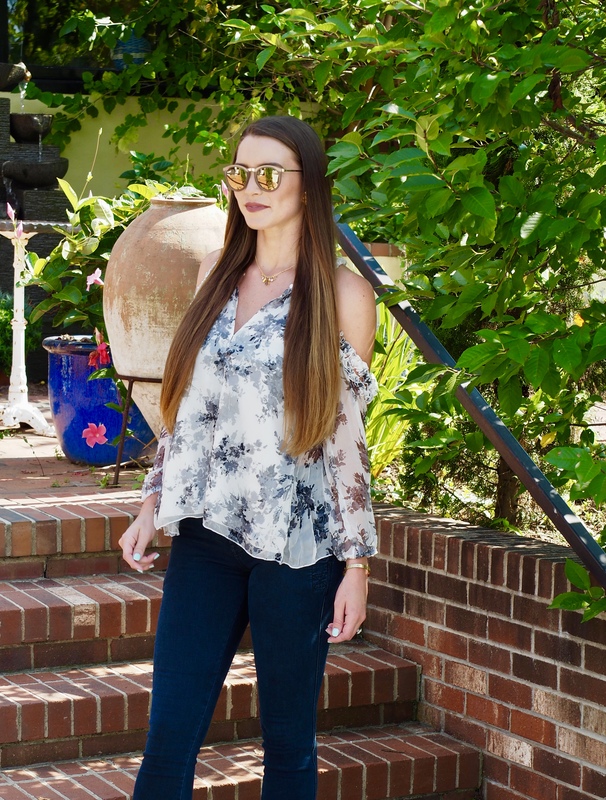 I love a good top that could go from casual to dressy. This would be a great work to drinks outfit if paired with a pencil skirt and heels! My J Brand jeans $248, are really stretchy and have a slit on the side and buttons at the top going down the side. 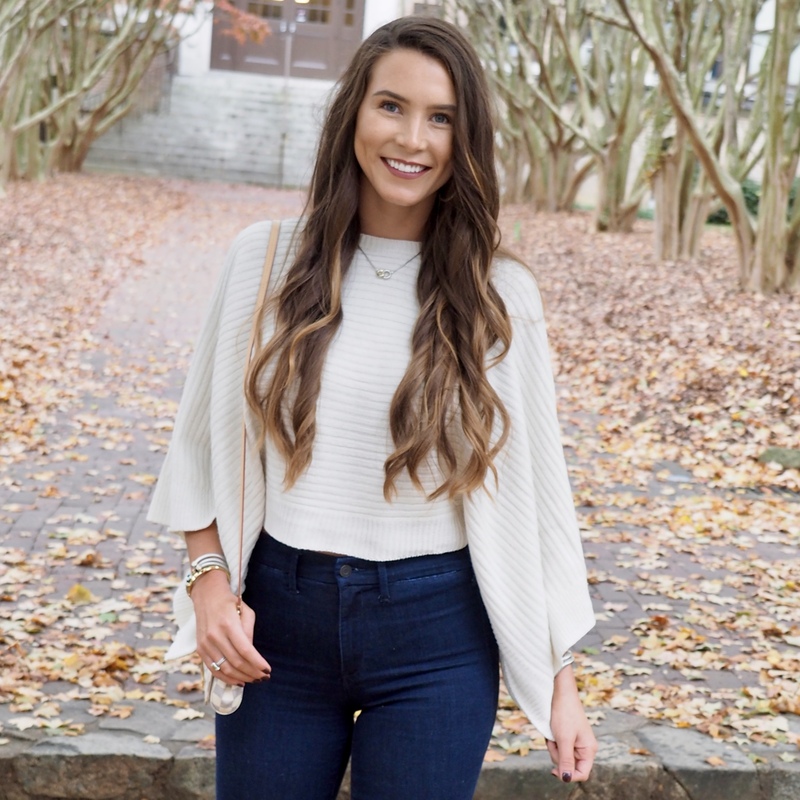 These are a great pair of jeans that probably aren’t like most in your closet, but still a staple item you can wear with so many different things. For size reference I am wearing a 28 and they run TTS. My booties are sooo comfy, I love the low heel for an everyday shoe. They are Dolce Vita $142. They run TTS. These Chanel earrings $249, are so adorable! The vintage look is right up my alley. Ugh, I could wear these every day. Dress them up or down, they will match practically everything. .My sunnies are by Le Specs $95, they really add a fun touch to this outfit. I’ve always been fan of reflective lenses. 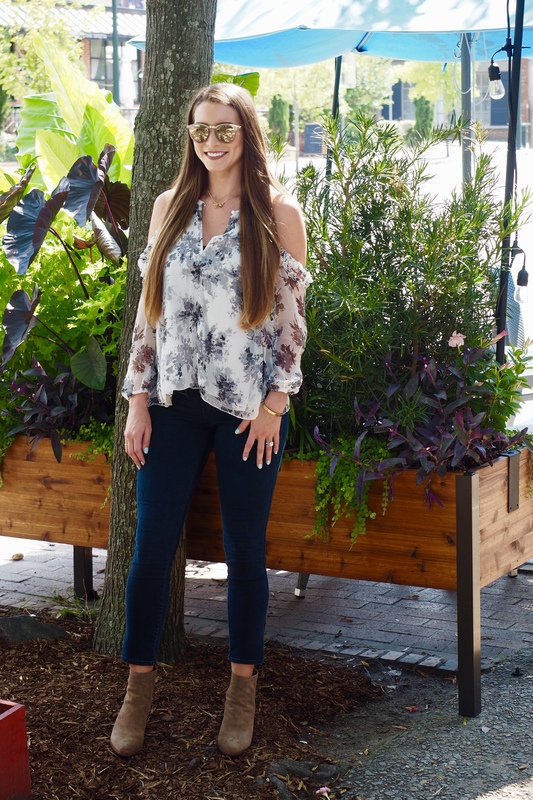 Uniquities carries so many cute sunnies like these in different colors, I always can count on the stylist at Uniquities to help me pick out a fun pair! Check out one of Uniquities stores to shop this gorgeous outfit!